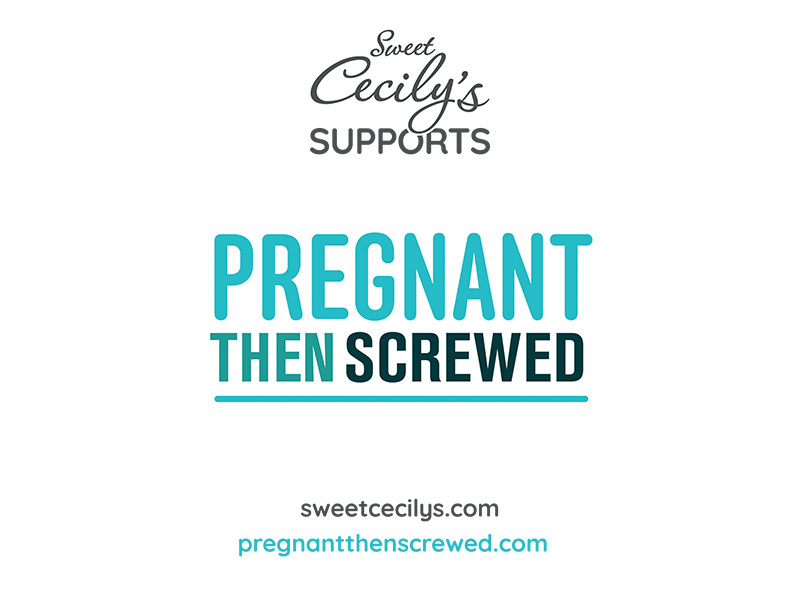 Time is precious when you are thrown into the world of parenting, and it’s too easy to only focus on the needs of this new little person and forget about yourself. 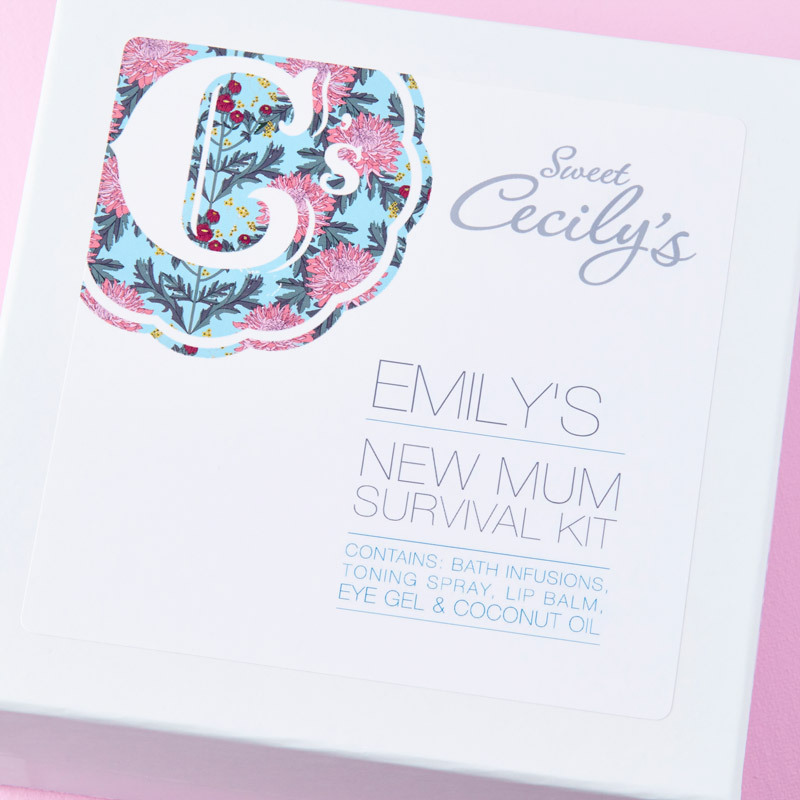 We have created this New Mum Survival Kit to help keep the balance. 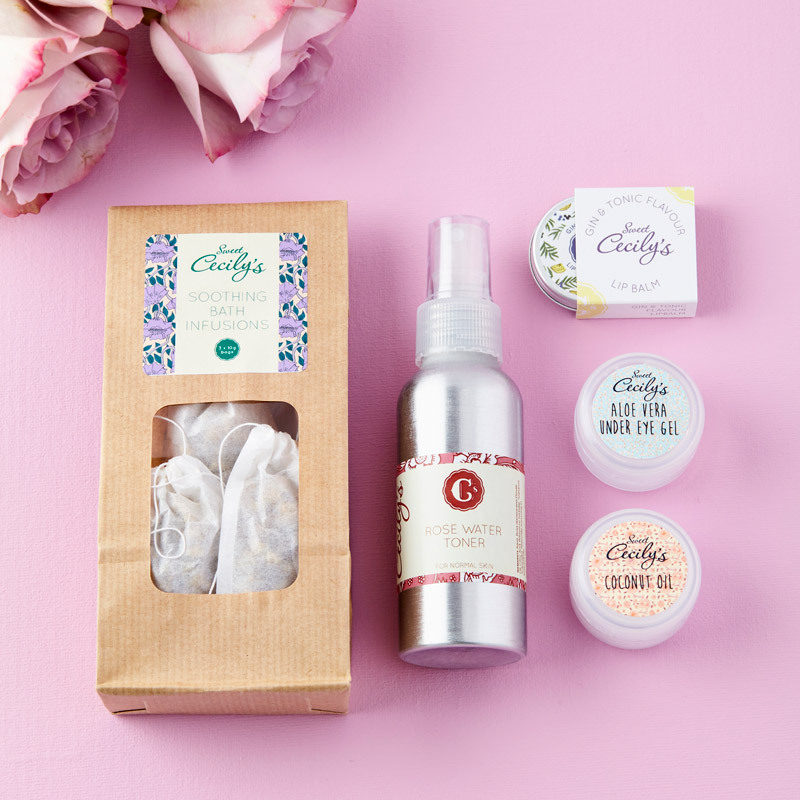 The key to the products we have chosen, is to keep it simple, quick, and fuss free, whilst still giving you that little bit of luxury from our lovingly made natural goodies. 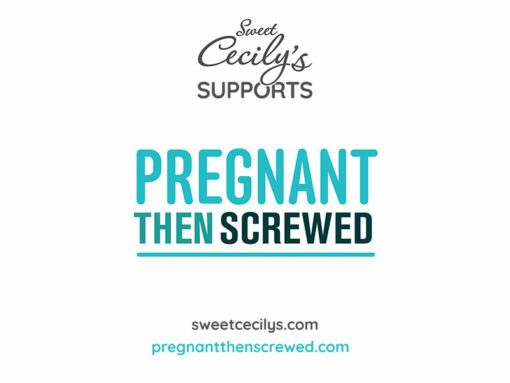 £2.50 from each New Mum Survival Kit sold will be donated to Pregnant Then Screwed. Soothing Bath Infusions – 3 individual ‘tea bags’ to pop in your bath for a soothing and calming soak. 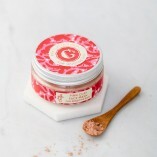 Both oatmeal and chamomile are known for their ability to help relieve itchy or dry skin. Rose Toner – A gorgeous refreshing treat for your skin, can be used as part of your daily routine or whenever your skin needs a little pick me up. Perfect for keeping close by and using as a reviving spray to get you through the day! 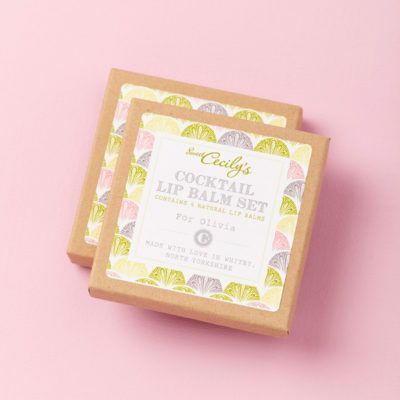 Choice of Lip Balm – You can choose from our full range of flavours, including the best selling Gin & Tonic, Mojito, Prosecco and Peach or even Red Velvet cupcake. Aloe Vera Eye Gel – 13g pot of aloe vera gel. To perk up those tired eyes. 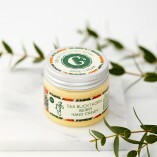 Organic Coconut Oil – 10g pot of coconut oil. 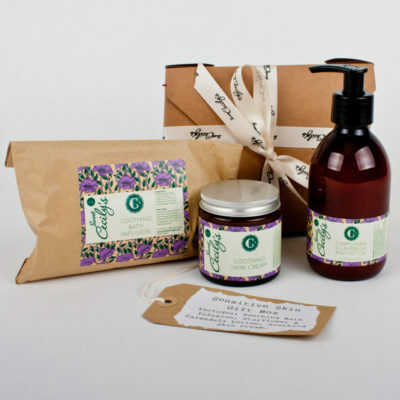 Great used as a hair mask or as a natural moisturiser for the skin. 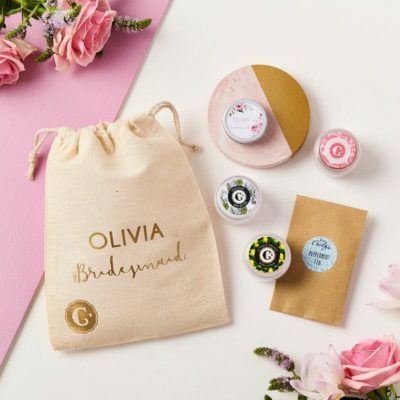 We want our gifts to be as unique as possible, so to make it just that bit more special, you can even personalise the label on the bag, simply enter the name you want in the personalisation box below and we’ll print it out for you! If you don’t wish to personalise it, just leave it as it is. The font we use to personalise only prints in capital letters, and is limited to 35 characters including spaces. 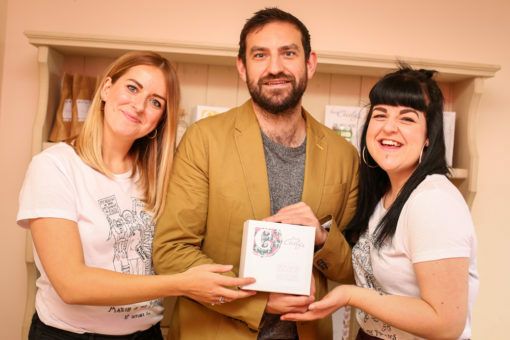 Please note that your personalisation text will appear above the standard words on the label of “New Mum Survival Kit”. Please be careful when entering the text, as we will print the label directly from this.